I bet you have been hearing the buzz about a short story contest that is sponsored by Meryton Press, BUT if you have not...please read the information below. This is such exciting news! 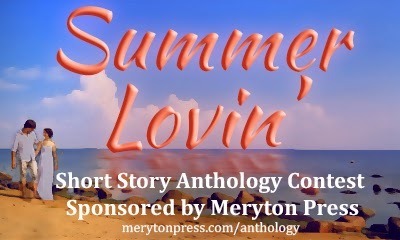 I hope that many of the people thinking about writing will take the leap and join in the 'Summer Lovin' ' fun! There are links provided for all the contest rules so check them out and start writing!!! season. The interpretation of the theme is left to the writer’s imagination; the story may have summer as a backdrop or may convey a sense of happiness and light. It might be a romantic comedy set in the South Pacific, a thriller in the everglades of Florida, a romance in Queen Victoria’s summer court, an ode to the ocean and Elizabeth Bennet, or a mail-order bride in the Old West―anything your summer muse suggests. Doesn't this sound like fun. I can hardly wait to get my hands on the finished product. Sometimes a book of short stories is just what I want. 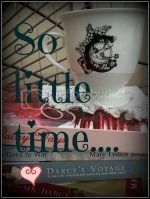 I may not have the time to read a full length novel but want my reading 'fix'! This sounds like an ideal way to take care of that 'fix'...popular published authors and new ones too! Good luck to all who enter. What a terrific thing to do where both writers and readers will benefit. I love an anthology and hope that this will encourage the timid and meek of heart to boldly go where no man has ever... sorry, I think that line has already been done before. Anyway, what a joy it will be to be introduced in this manner to new writers and to short stories from authors that we already love. Yippee Meryton Press! How exciting! I love the idea of encouraging creativity like this.